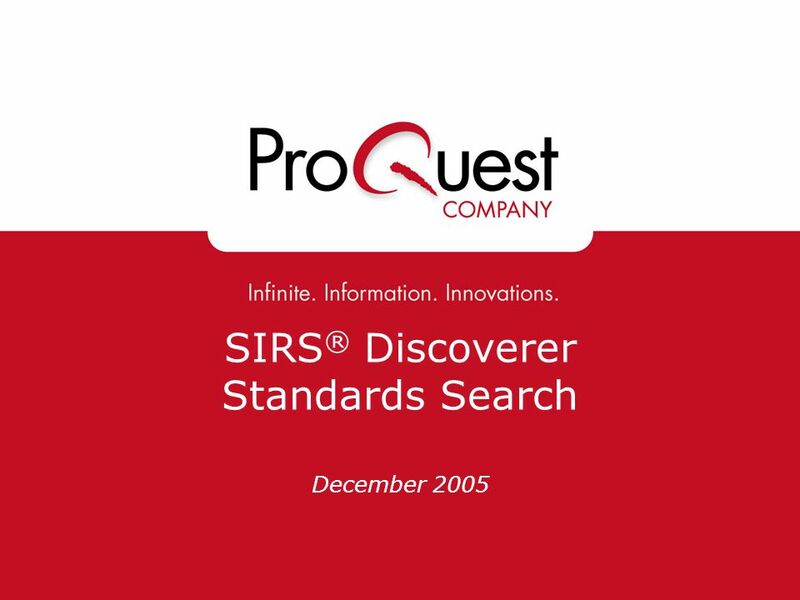 SIRS ® Discoverer Standards Search December 2005. 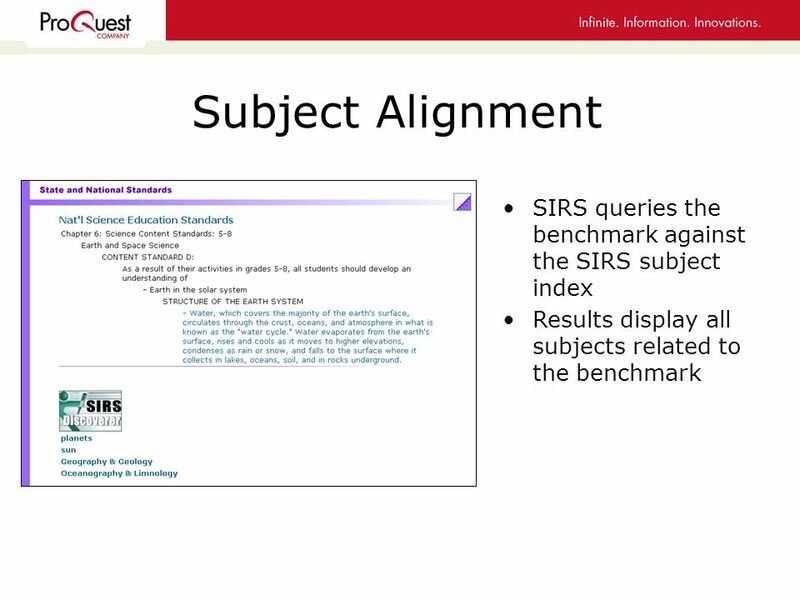 Download ppt "SIRS ® Discoverer Standards Search December 2005." 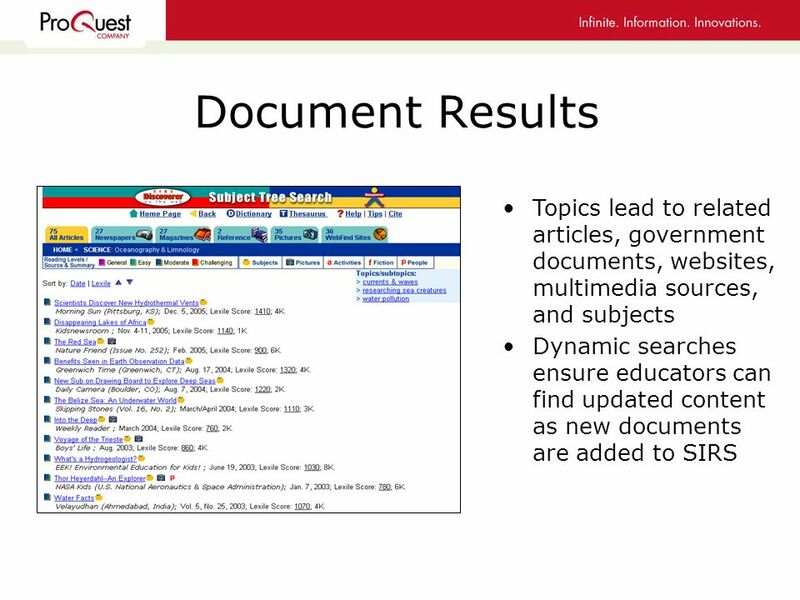 ProQuest Platinum K-12 reference solution Provides quality, proprietary licensed content not available on the free web –Delivers premium research. 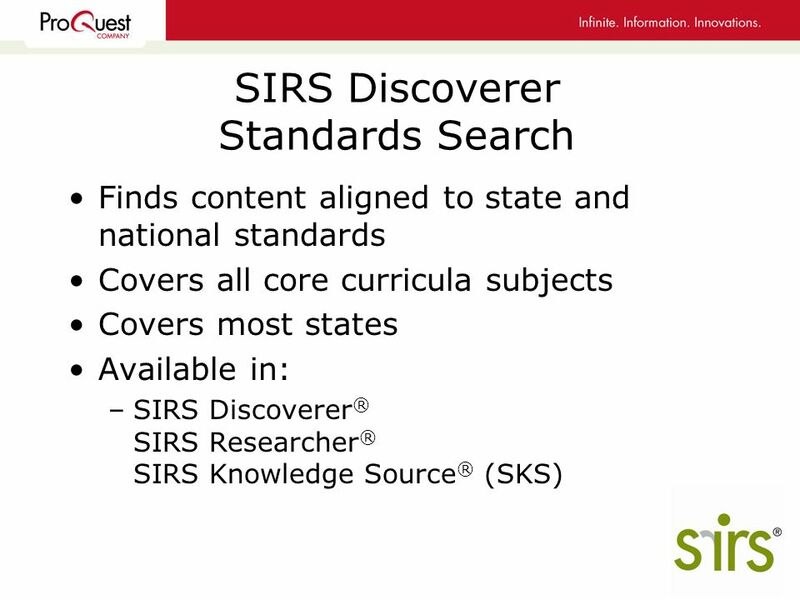 SIRS ® Standards Search December SIRS Standards Search Finds content aligned to state and national standards Covers all core curricula subjects. Cartographica Map Additions SIRS Researcher & Discoverer History Study Center Fall 2006. 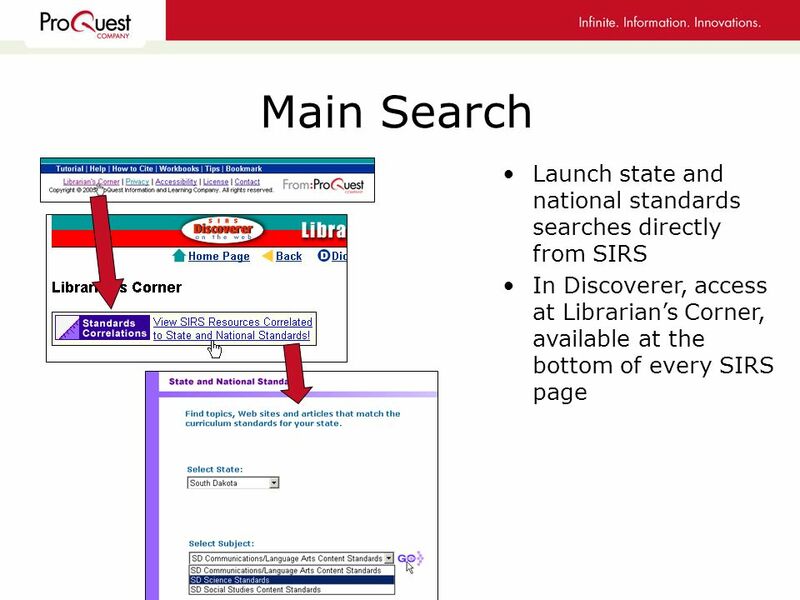 ELibrary Topic Search Basics eLibrary topic search allows users to locate articles and multimedia resources –Relevant to K-12 curricula and user. 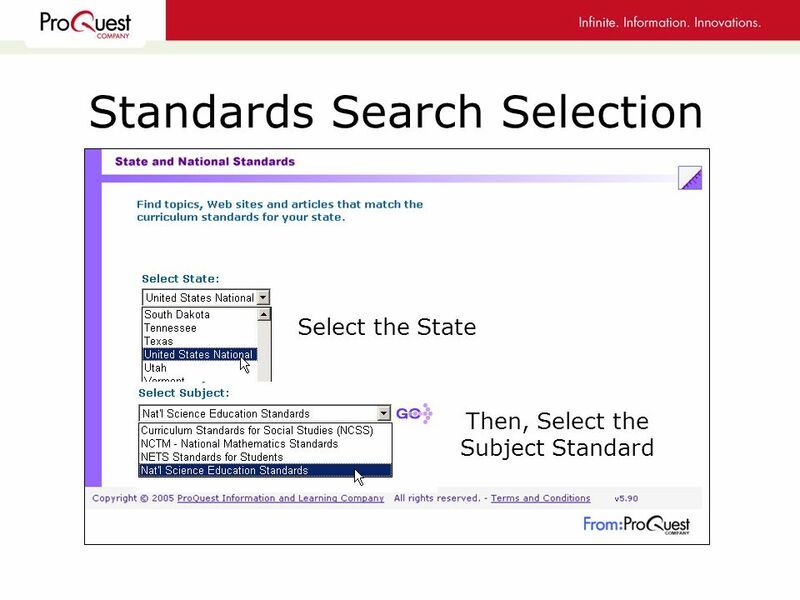 ELibrary Standards Search Basics Find content aligned to state and national standards –All core curricula subjects, states, provinces –Available. 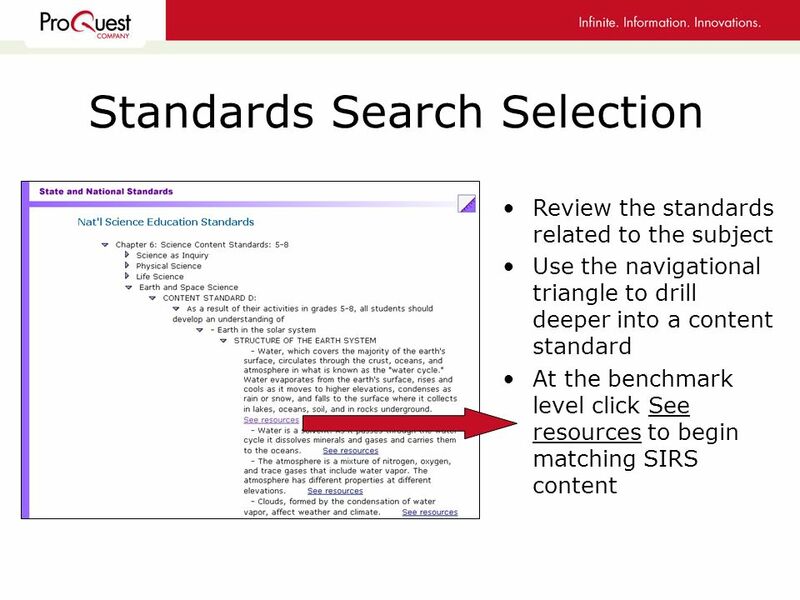 SIRS: Standards Search Basics. 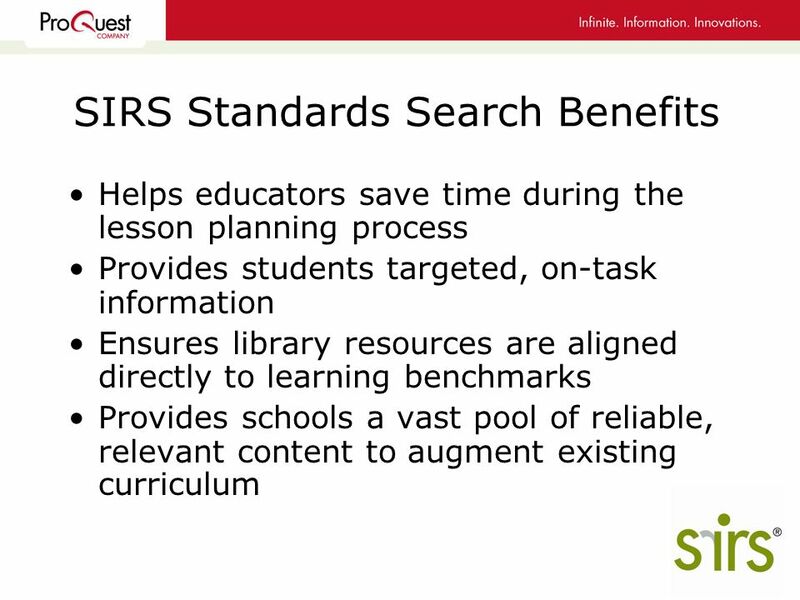 Find SIRS content aligned to: –Common Core Standards (NEW!) –U.S. 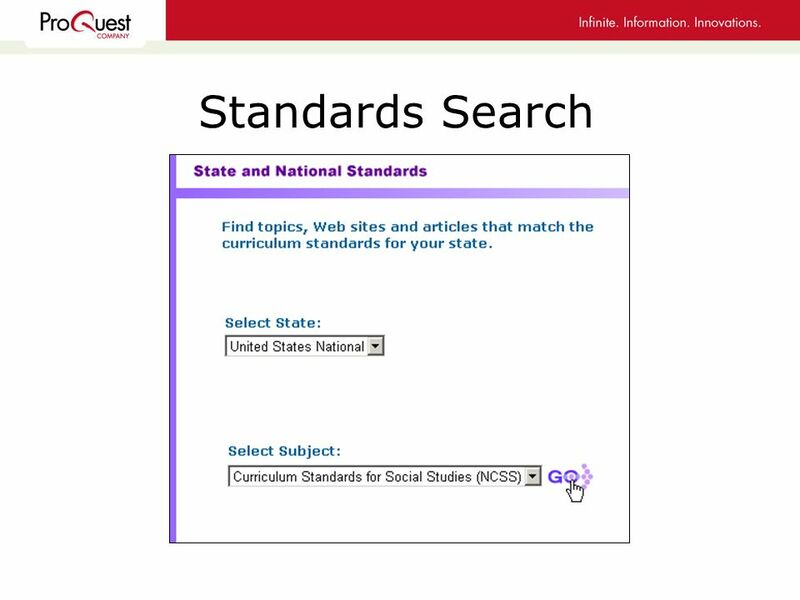 National & State standards –Canadian standards –IB Standards. 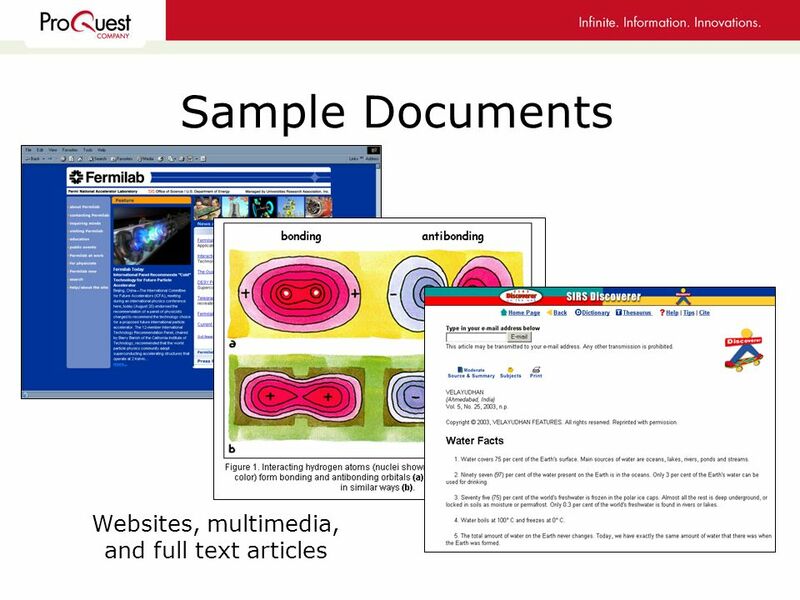 Welcome POWER Libraries! 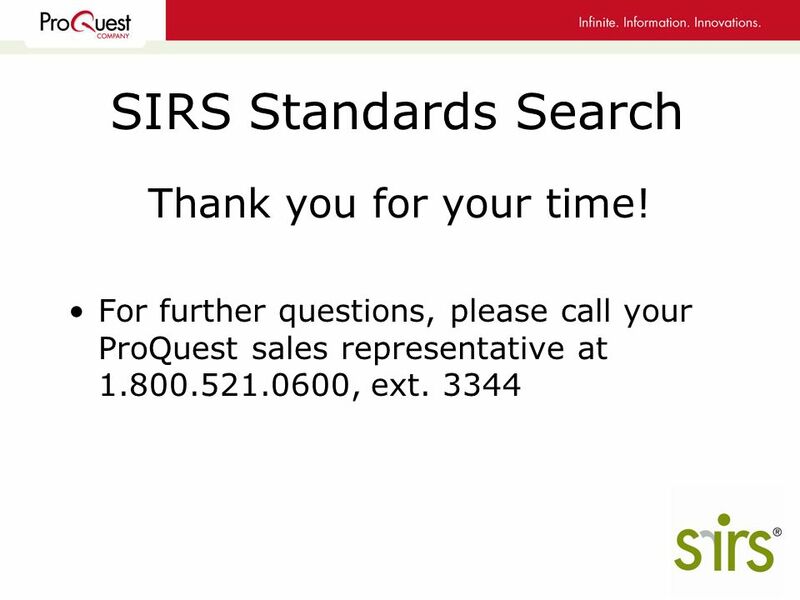 Narrated by Dan Firrincili Product Manager.